I would like to start with my favorite automation scripting tool - AutoIt and will be covering the tool basics in this post. 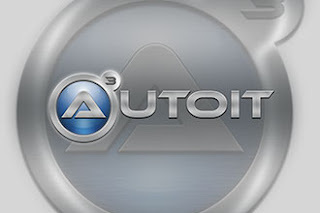 AutoIt is a freeware BASIC-like scripting language designed for automating the Windows GUI and general scripting. Some of the example works I have done with AutoIt tool are development of repetitive web tasks automation softwares, Web scraping or crawling and Data mining softwares, Web services automation and data processing softwares, Windows GUI applications, Automation of windows GUI applications and repetitive windows tasks etc. As listed above, it has a BASIC-like scripting language which can aid even beginners to learn things quickly. Also it has a good help file and a very active support forum. AutoIt comes with a built-in editor with syntax highlighting and a set of tools like Window Info, Recorder, GUI Form Designer etc. It is standalone and doesn't have any dependency on runtimes like .Net or VB and any third party components. It has COM support which will help to to interact with most of the applications (eg: interacting with winhttp for web requests) and can call Win32 and third-party DLL APIs. We will be covering through the installation, bundled tools details, scripting basics and advanced features etc in next few posts. Thank you for reading me!! !